If you are Choosing the Attestation Service than you have to provide One Scanned Copy of Applicant’s I.d Proof and Scanned Copy of Applicant’s Signature to us via e-mail at document@edrafter.in after placing order for the purpose of Attestation Service. 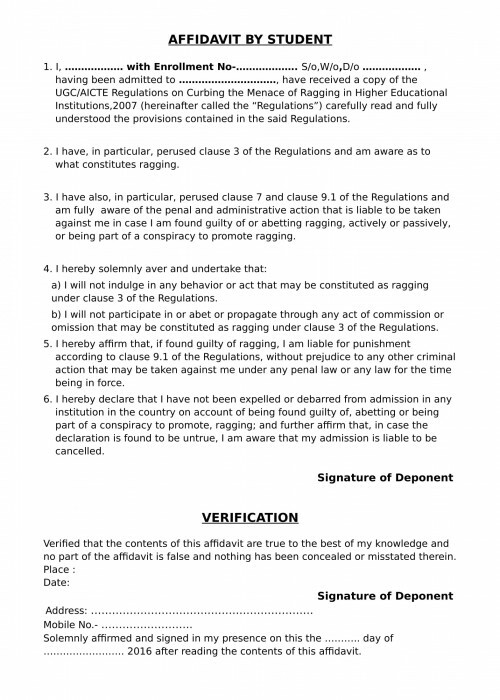 What is Anti Ragging Affidavit? 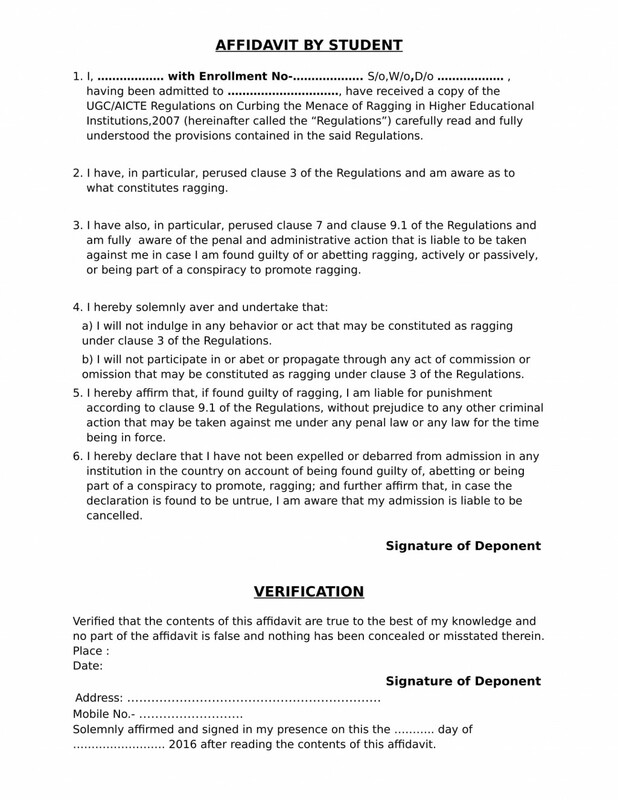 Anti Ragging Affidavit is required/commanded by the College/University by the students at the time of admissions. It should be executed on Non Judicial Stamp Paper of relevant value and must be attested by an Officer. 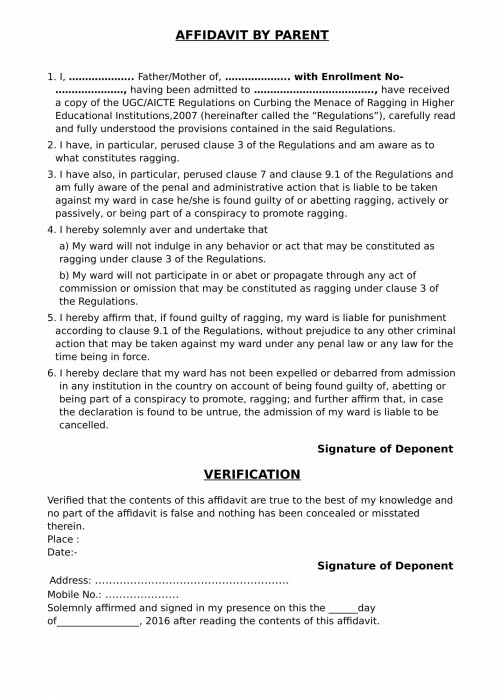 What is the format of Anti Ragging Affidavit? You can check the Format of the Affidavit at the top right of the Page, also each University provide their own Format so either you can use our Format for Affidavit OR you can also use the Format prescribed by your University. What to write in Enrollment Number while filling the Form for Affidavit? Enrollment Number is a Number provided by the University for Identification of Student while taking admissions. If you are not having Enrollment Number with you then you can simply leave the field blank as it is not a considerable field while drafting an Affidavit. What Stamp Paper amount we can choose for Anti Ragging Affidavit? 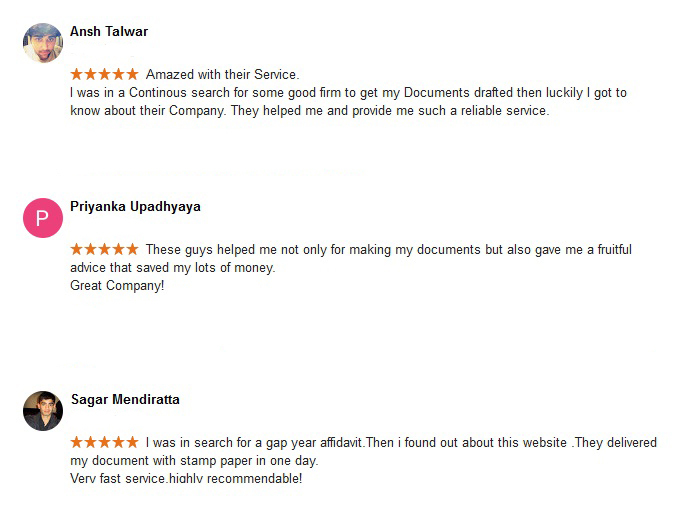 It depends upon University to University, Generally the most common used Stamp Paper amount for Affidavit is Rs. 10/-. Also, for Delhi State the Government has fixed the Stamp Duty for Article Affidavit i.e Rs. 10/-. Yes, you will get the fully drafted and ready to use affidavit executed on a relevant stamp paper. 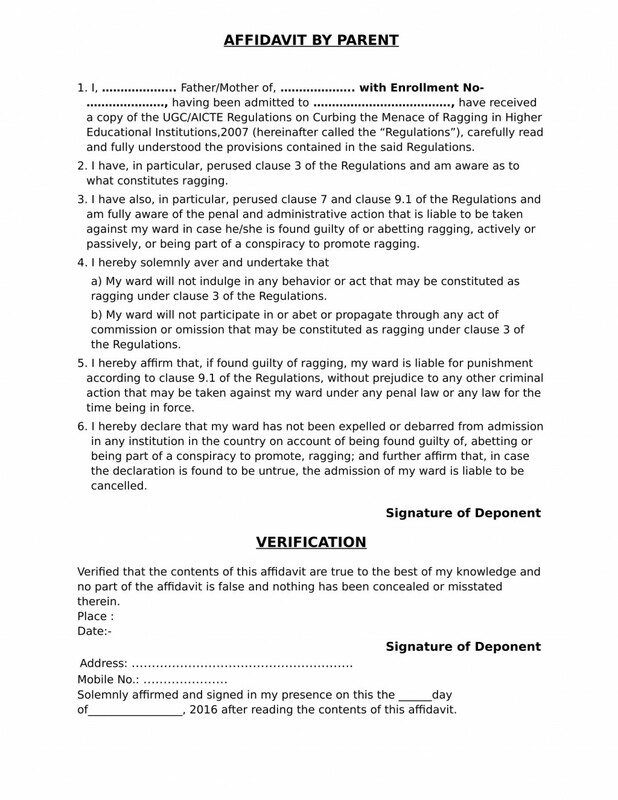 You don’t have to visit to the court, you can directly provide this affidavit to your College/University. It will be legally valid. In How much time I can expect my Affidavit to get deliver to me? If the Delivery needs to be done within Delhi/NCR then you will get it on Next Working Day or else for other States within 2 Working Days.